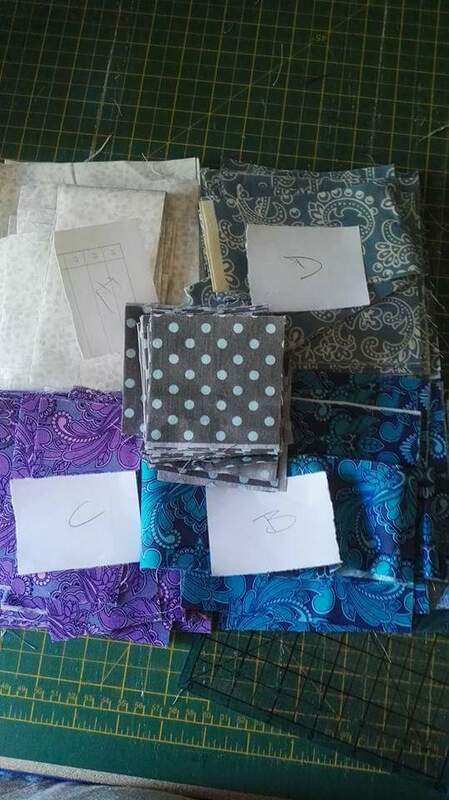 we have been clearing out my mother in law's house and I found a fabric stash. it was sll very musty buy after two bicarbonate of soda washes and time on the line in the rain, it smells much fresher. 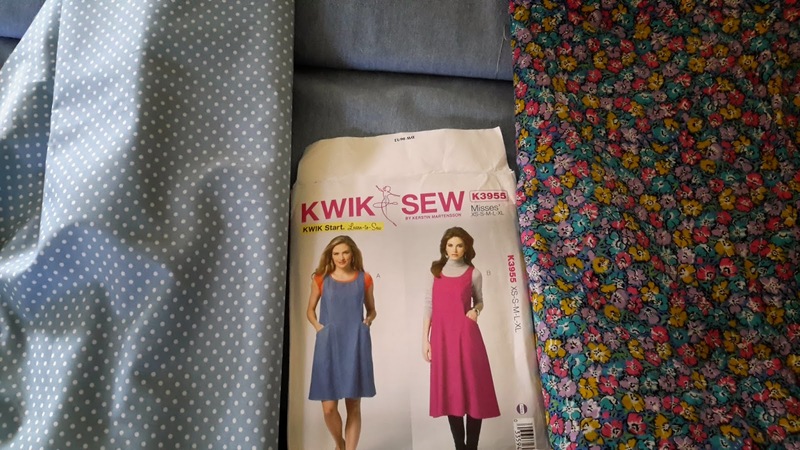 i went and bought a couple of metres of cheap lightweight denim today and these are now my mix and match options using two patterns that I have already. 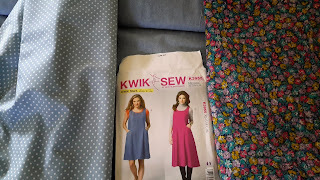 I have placed the pieces for the centre block of Miss Mimi Using fabric from my stash. 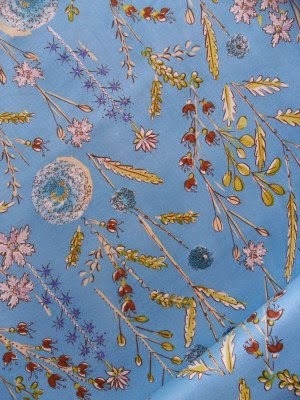 i couldn't resist getting some tiny bits of Tula Pink fabric as the blue flower centres. 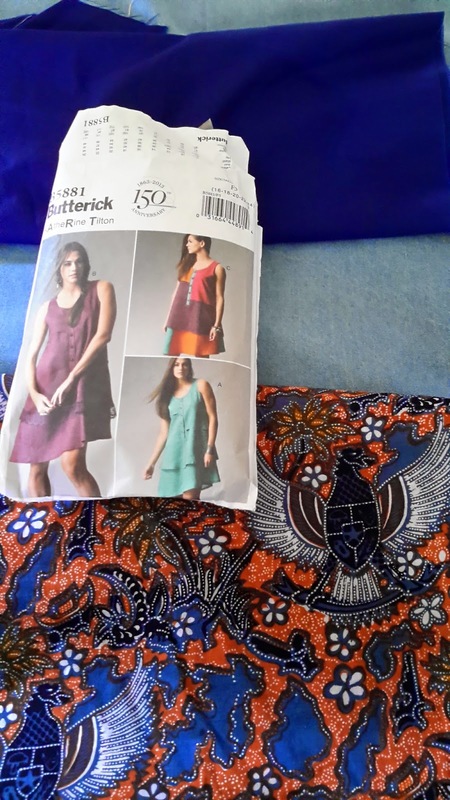 Staystitching have some beautiful fabric on sale at the moment so I have a feeling I will be buying a few bits to sneak in to the other blocks as I go along. 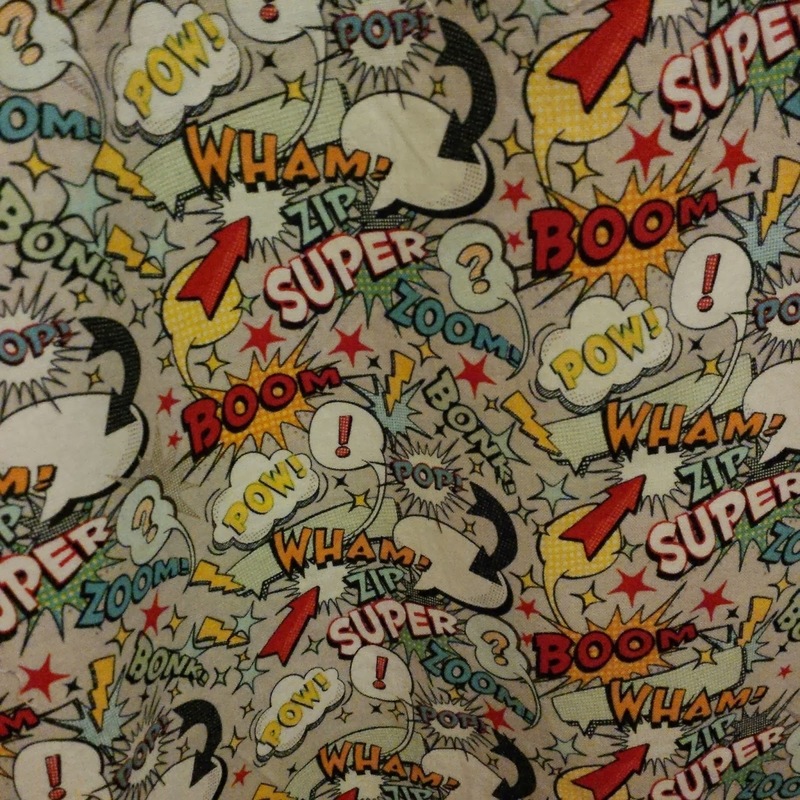 I love this pale grey background fabric so much that I bought the whole bolt! 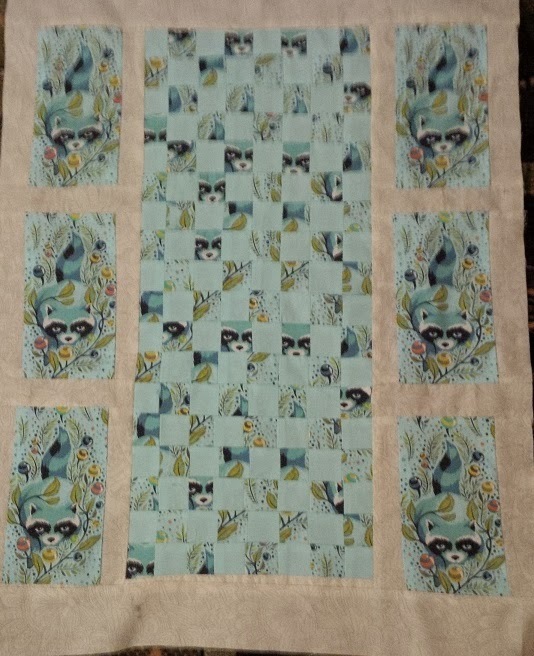 8 blocks done, 12 to go. I found some jelly roll strips in my stash that i have used between the blocks and it is plain yellow on the back. 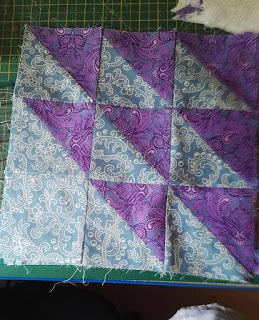 I am quilting them in manageable sections and will add the borders separately once the centre is done. A slight change of fabric but the circle is in and the corner pieces in place. 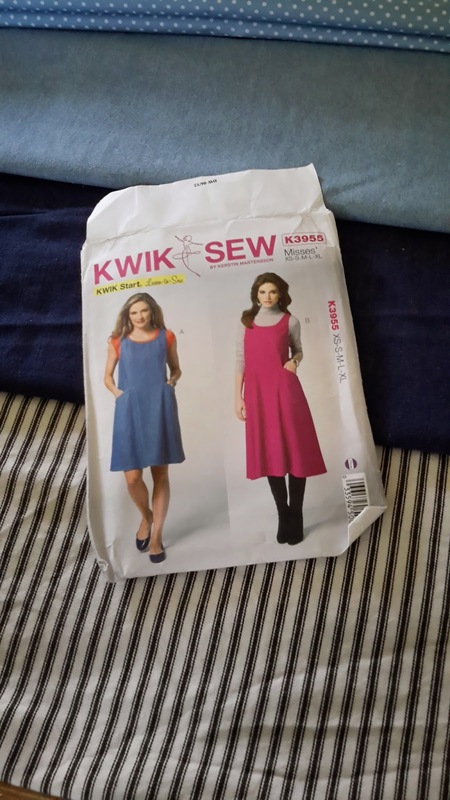 I made a start on sewing them in place but need better quality thread. A break from applique when my daughter asked for a bag for her spare skate wheels. i used a plastic canvas disc forbthe bottom to allow air movement and anybdried mudbto fall out. Another to follow as you, aparently, need 3 sets of wheels! I am really struggling with the challenge of Omas blues and have it sitting on my ironing board taunting me. i have decided that there is a stress free option of doing the citcle in a patterned fabric rather than attempting psper piecing. 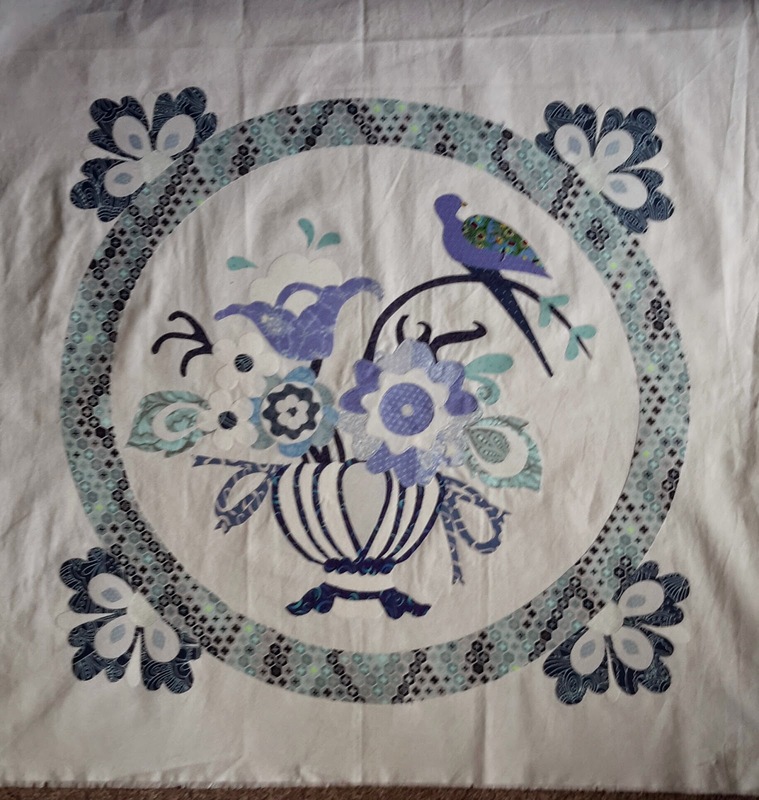 I have been looking for an excuse to shop at staystitching since they reopened so will treat myself to the beautiful Somerset blue which I have used in cream but now in blue. There is also Oma's Blues. I am really excited about this one as it will look beautiful in my guest bedroom where I have an assortment of blue and white china. 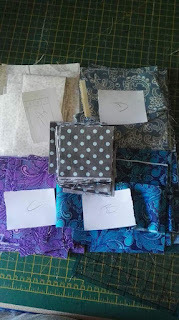 I am going to do it as raw edge applique so have already cut the fabrics with Bondaweb and placed for initial layout. A bit of adjusting needed before I have the confidence to place them on the backing. I am using off white for the backing as the china is all Victorian and no longer bright white. 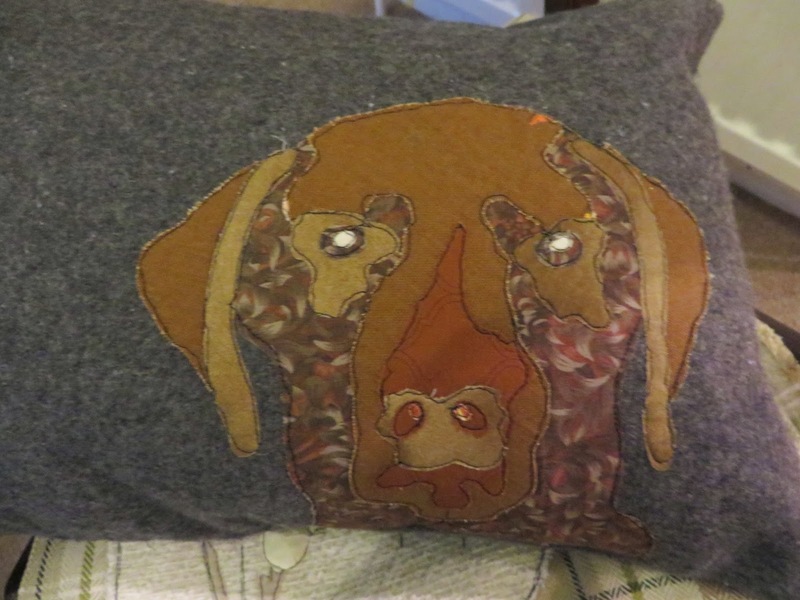 Christmas present for Josh and Hallie is an applique cushion of the picture they chose for their thank you cards. Hidden Pond, Kennebunkport, Maine was a wonderful setting for their wedding and they had a great car for the bride and groom to drive from the wedding venue to the marquee for the reception. While I am here I must mention Josh's new show which comes out in the States in January. Expedition Unknown. I have finally finished the appliques for Christmas presents for our American family. For Sonia and Lee a memory of their beach. Magnolia beach, Cape Ann, Massachusetts. 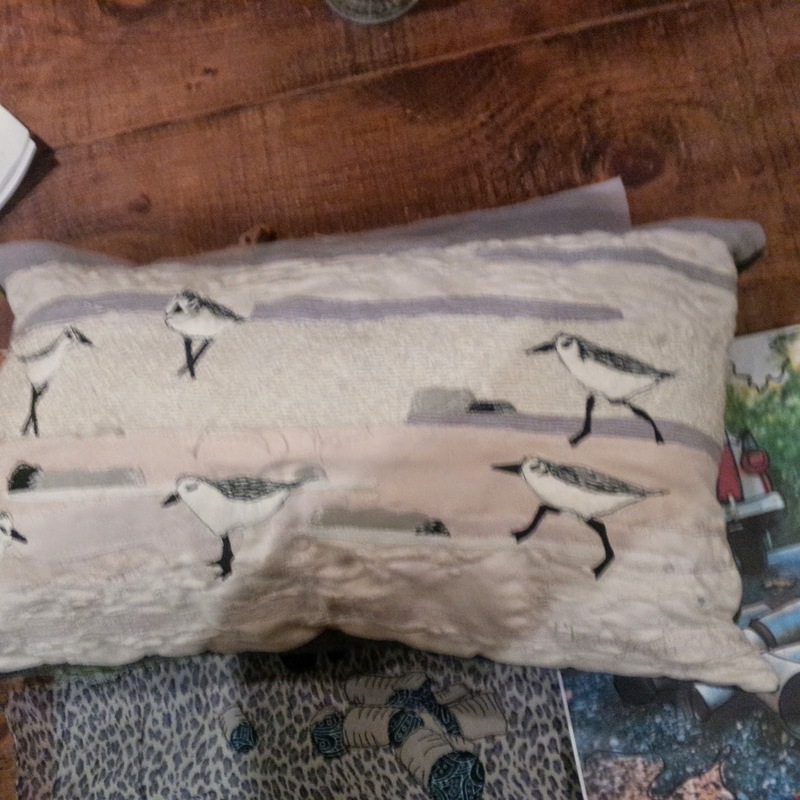 I loved the sand pipers so merged a couple of photos. 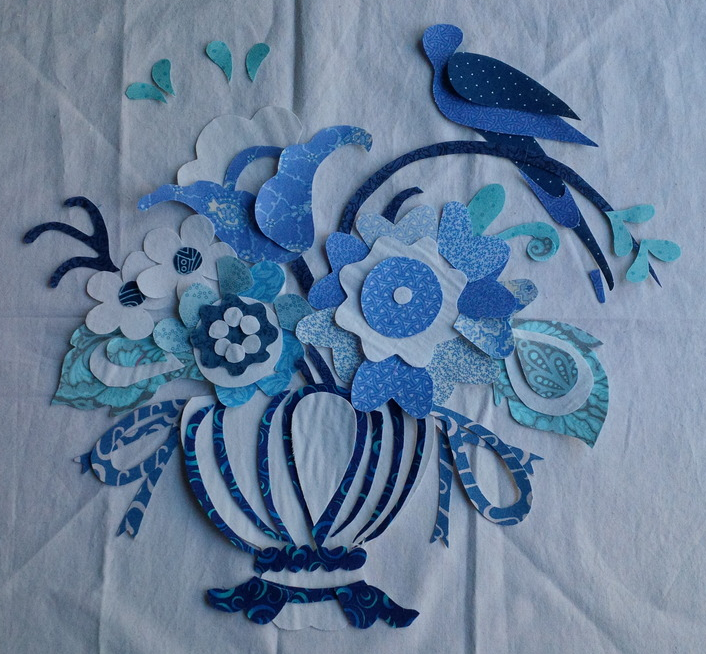 I am not convinced about this style of applique but love the Tula Pink fabric so might do an elephant as well. We receint bought a folding Campaign chair at an antiques fair but the chair and back covers were ripped and it needed some TLC. Bargain price of £15 knocked down from £45. I decided on a sheep for the seat. The horns are a beautiful very fine cord that Ingot from staystitching.com to make myself a skirt. The back is tacked on but I need another pair of hands to help with the webbing of the seat. I am thinking on sticking with brown for the braid around the edges but need quite a wide one to cover the previous tack holds. 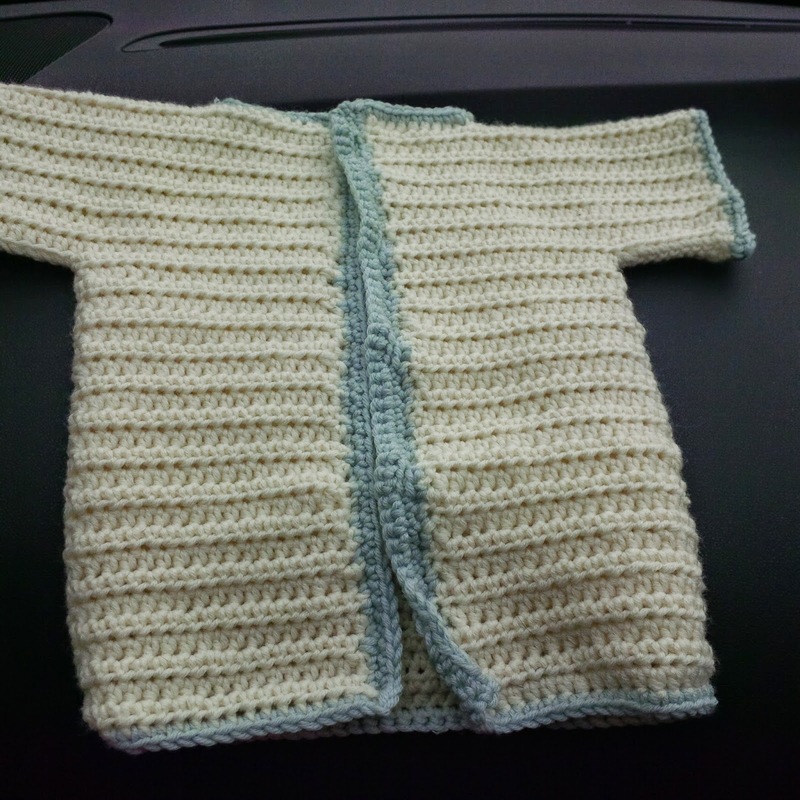 One advantage of spending so much time on the train is that I get to crochet. 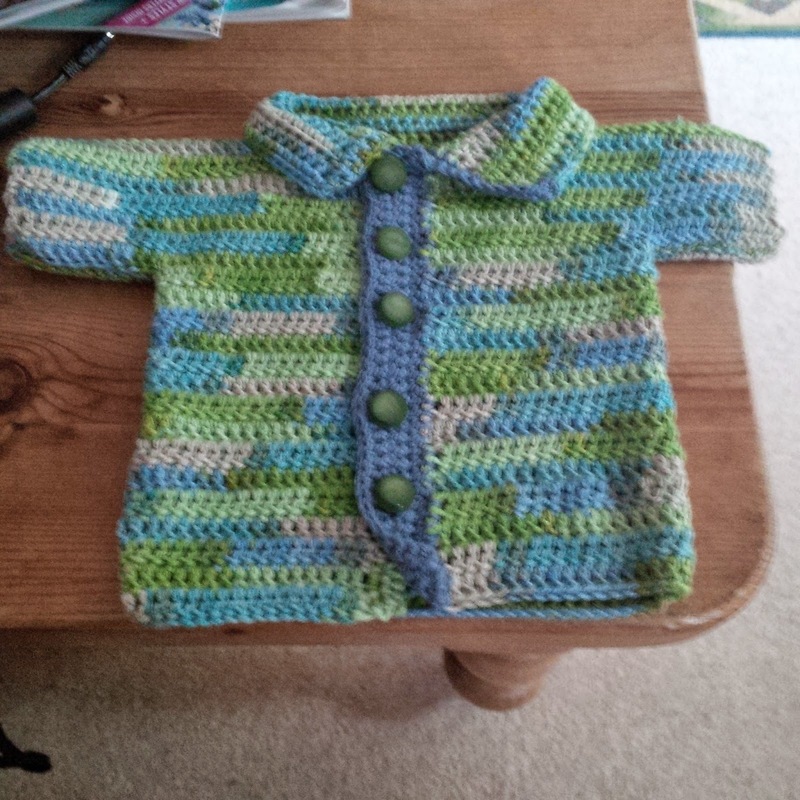 This week's addition in pure cotton so nice and cool for the summer. Play mat complete for my grandson. He can come out and play now. 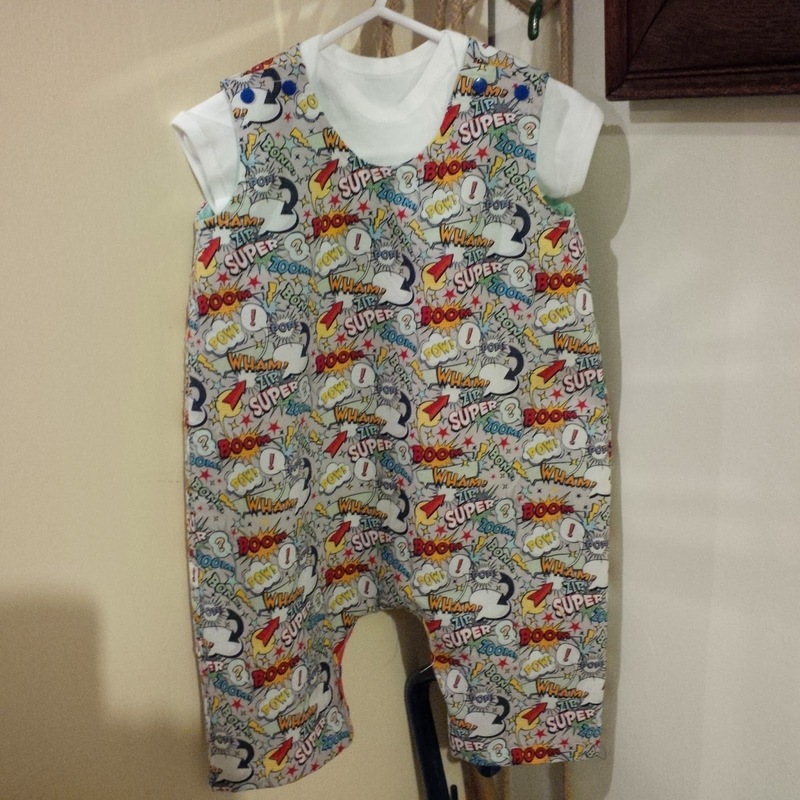 After my practice at putting poppers onto garments, and finding that you can't get them out once they are in, I made another pair of dungarees today. 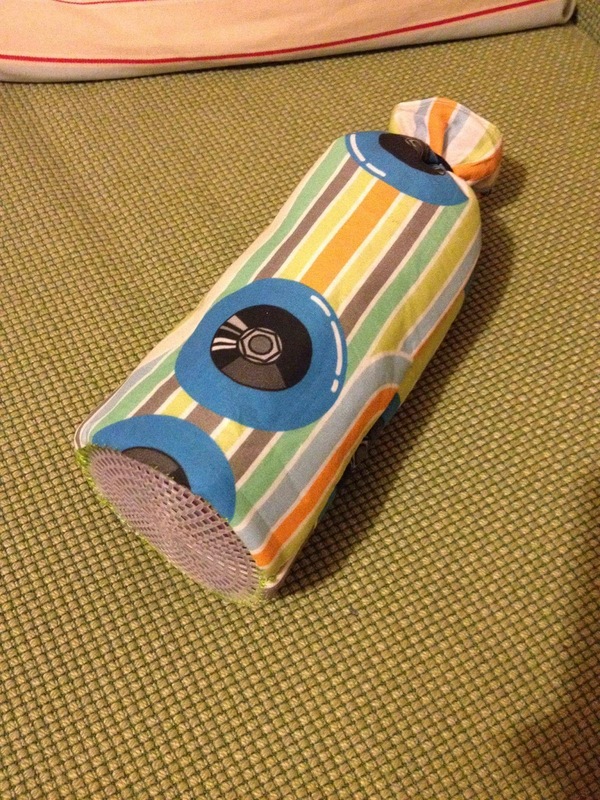 Nick chose the fabric so it is a grandad favourite. Close up to show why. I must admit it is brilliant and as they only take half a metre a bargain too. I used bright blue poppers on the legs and shoulders although I now think red might have been better. i just happened to have a white t-shirt that goes underneath. 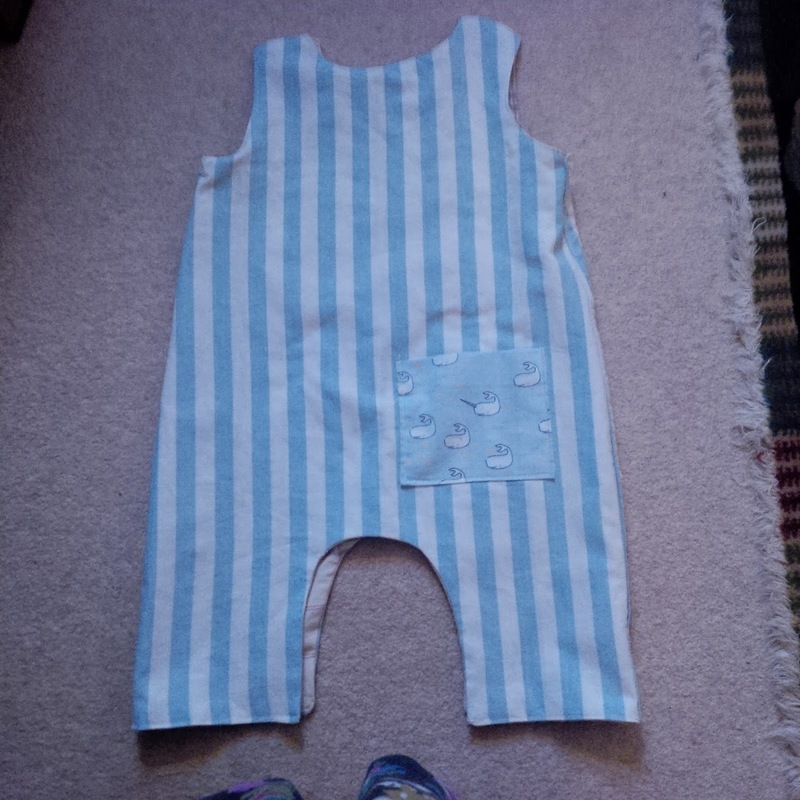 I have made a practice pair of baby dungarees. Seagull pocket on the front and I especially love the narwhal fabric pocket on the bum on the striped side. I decided to make it double thickness reversibleas a cunning way of being able to have a spare outfit if one side gets mucky. 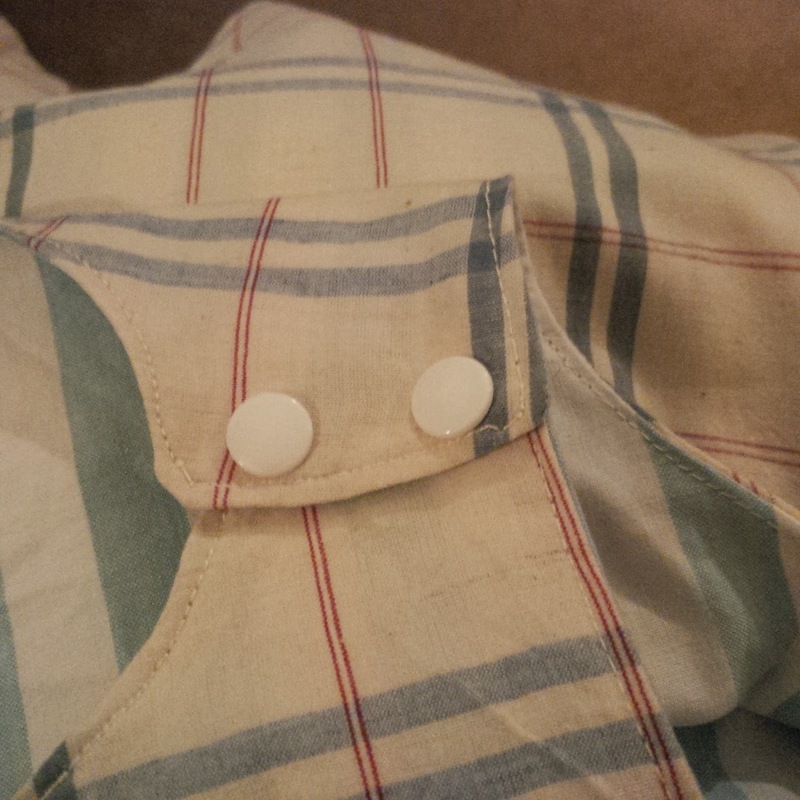 Two poppers on each shoulder and I need to put poppers round the legs so it will be easy to get on and off. Based on the success of this pair, will get cutting for some more ready for the summer months. I have been using free patterns but decided, if I was going to spend money on wool rather than using my stash I would splash out of a pattern. 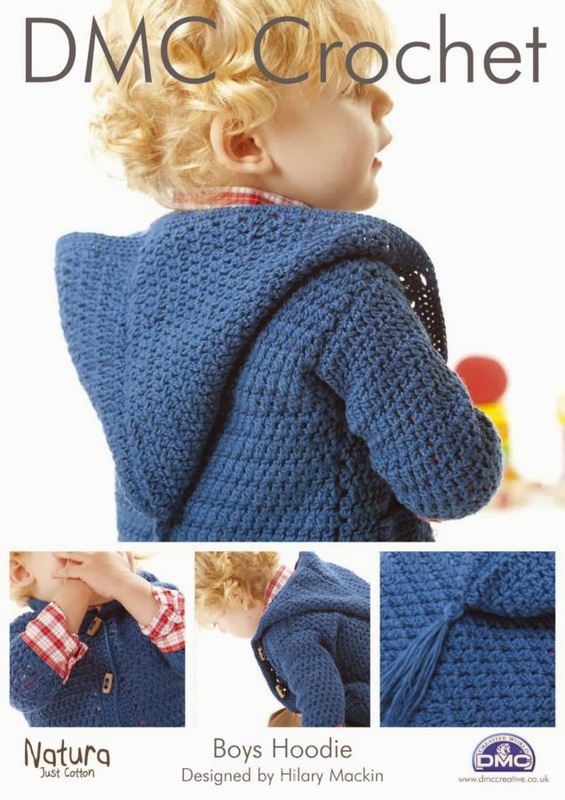 I have been looking for a hoodie in 4 ply to make one lighter weight and found this brilliant DMC patterm. I ended up getting 2 lost of natural cotton - one in bright blue and one in camel. Going to make a start later and hopefully will have something to show by the end of the weekend. 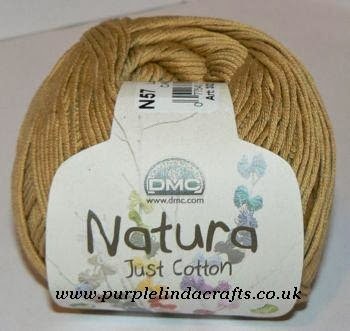 Here is the lovely soft cotton DMC yarn. I have been doing a lot of travelling lately so needed something that was portable to take on the train. 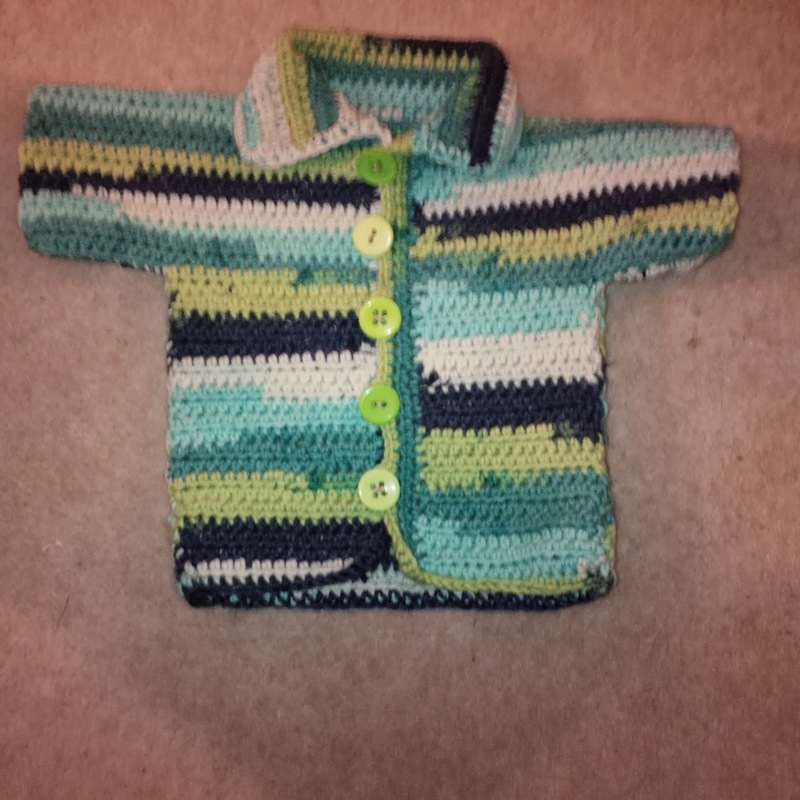 I rediscovered the joy of crochet. 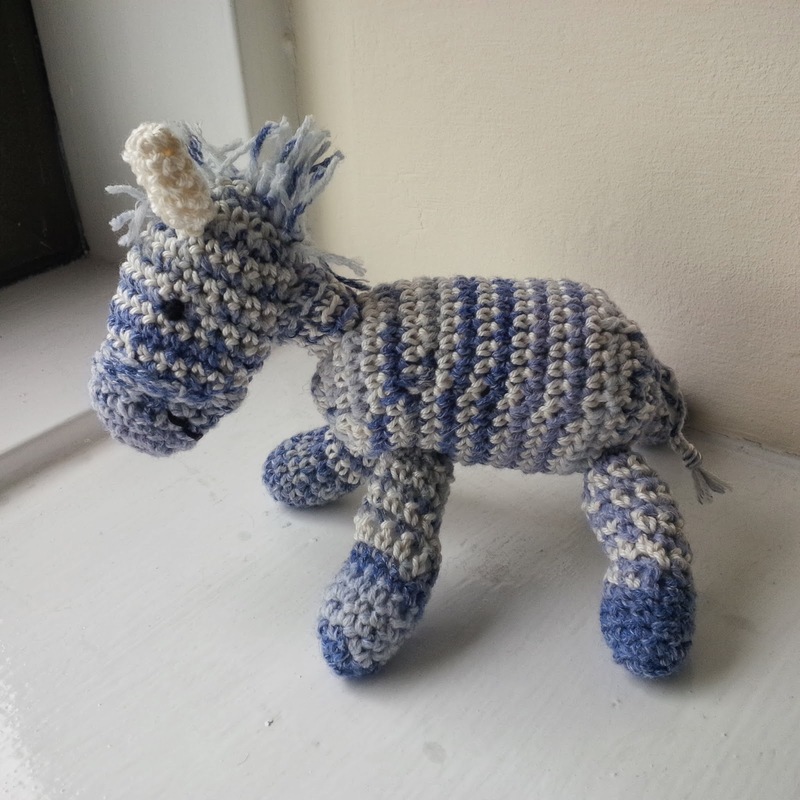 My first was a zebra and it went from there. He just manages to stand up but is so soft and cute. 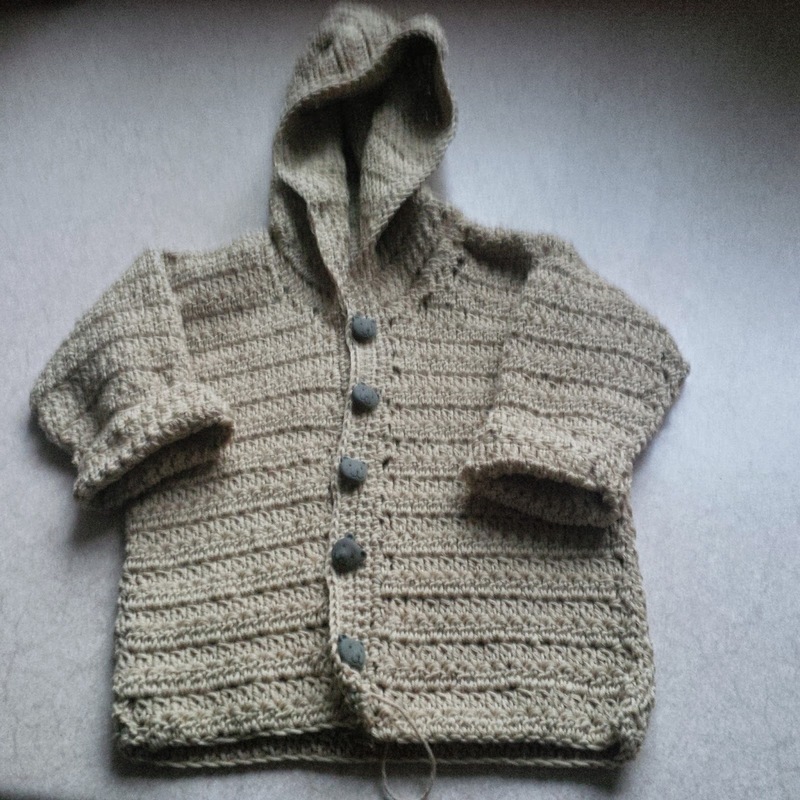 I love the merino wool from Debbie Bliss and the mixed buttons on the cardigan. Another one done in another colour way, bit bigger and with a hood. 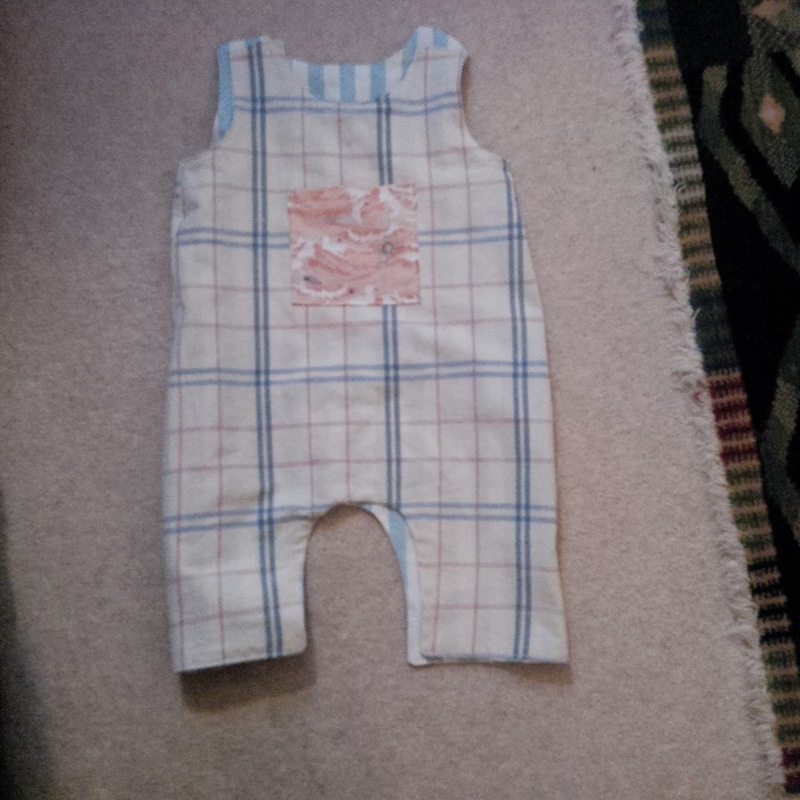 Just the buttons to add and it it will be ready to show. 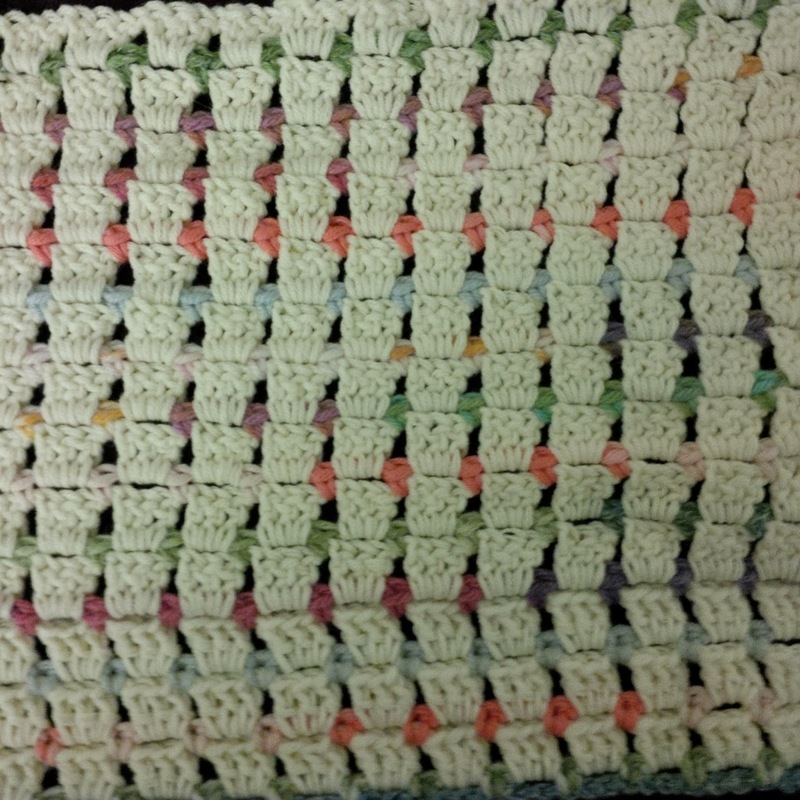 My latest is a blanket with the left over bits from other projects to add colour to the cream background. The size will depend on when I run out of cream and when it gets too big to manage on the train without laying it across my fellow travellers. Very quickly approaching that stage but the disapproving looks I get as we left Birmingham New Street last week. More Tula Pink fabric from www.staystitching.com. I love the raccoon, especially as they can be fussy cut. 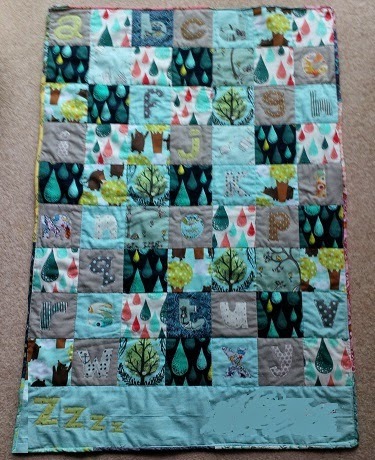 The new quilt top is for a little man when he gets big enough to be in a big cot, or it could keep him cosy in his pram. Quilt pieces all sandwiched but as the fabric had arrived for the borders, I thought I would sit in the shade and do some cutting of the applique flowers for the border. A few metres to go but at least a start. 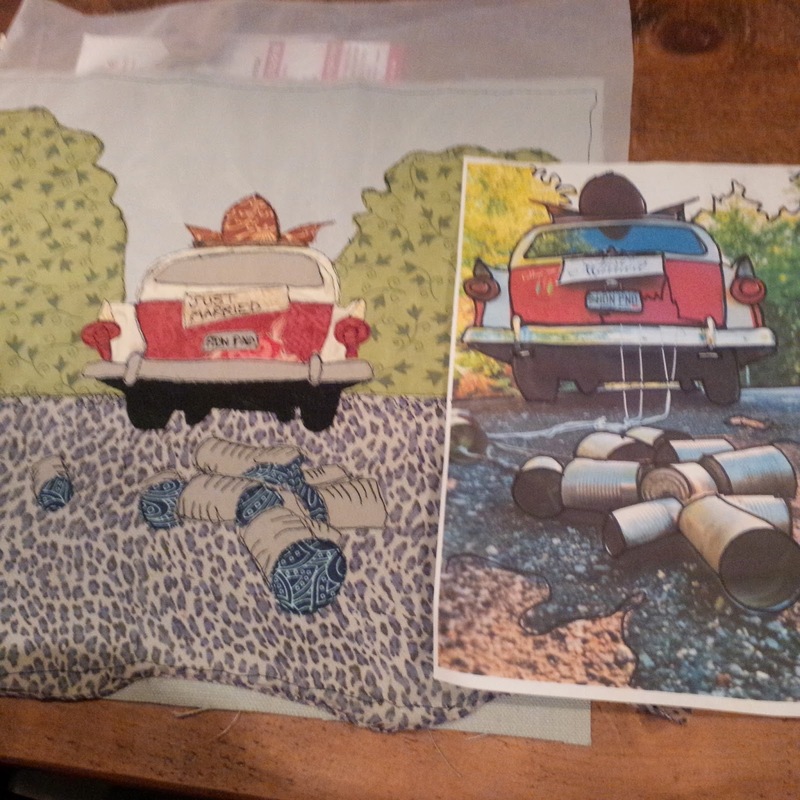 Last sections pieced together. I am no longer able to call it Green Tea and Sweet Beans as I am doing my own thing. There are some blocks that I love, some that I got no pleasure out of making and some that just have to be filler spaces. Unfortunately I ran out of the cream Tula Pink so had to do some resizing but I am still happy with the results. 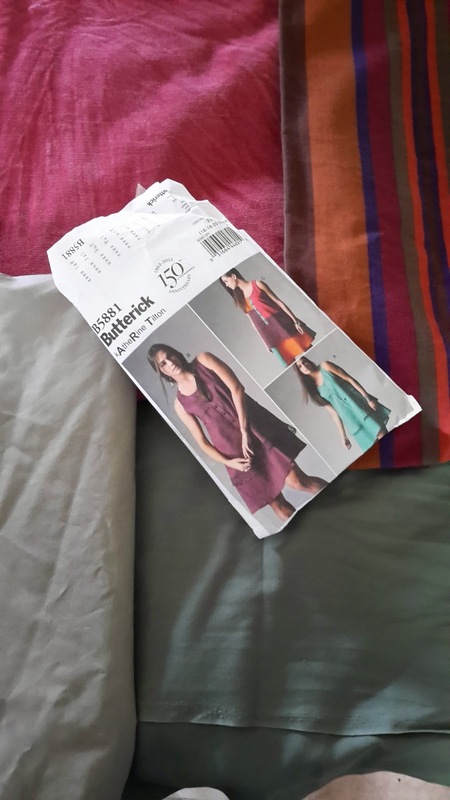 Quilting starts tomorrow and then all I have to do is work out how to join the 4 sections. 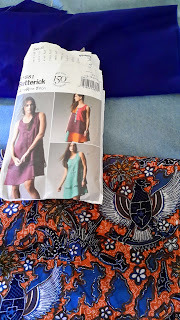 I signed up for a subscription to Sew Magazine over a month ago and hadn't received my subscription gift which was an Amy Butler jelly roll. Unfortunately, they had run out so had to send a substitute. They must know about my Tula Pink obsessions as the substitute is Quilts from the house of Tula Pink book and three long quarters of fabric. 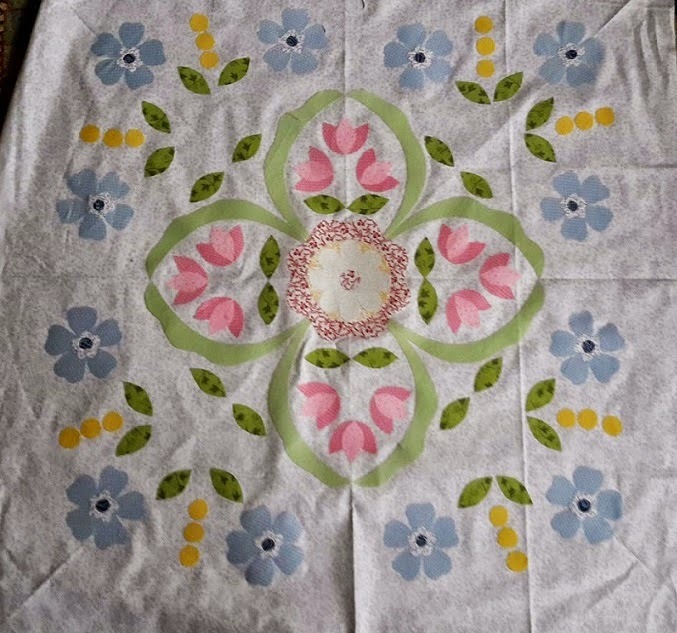 A fantastic addition to my stash for part 2 and 3 of the Sweet Beans & Green tea quilt. I took half an hour out of working from home today to fill 10 bobbins ready to quilt part 1. 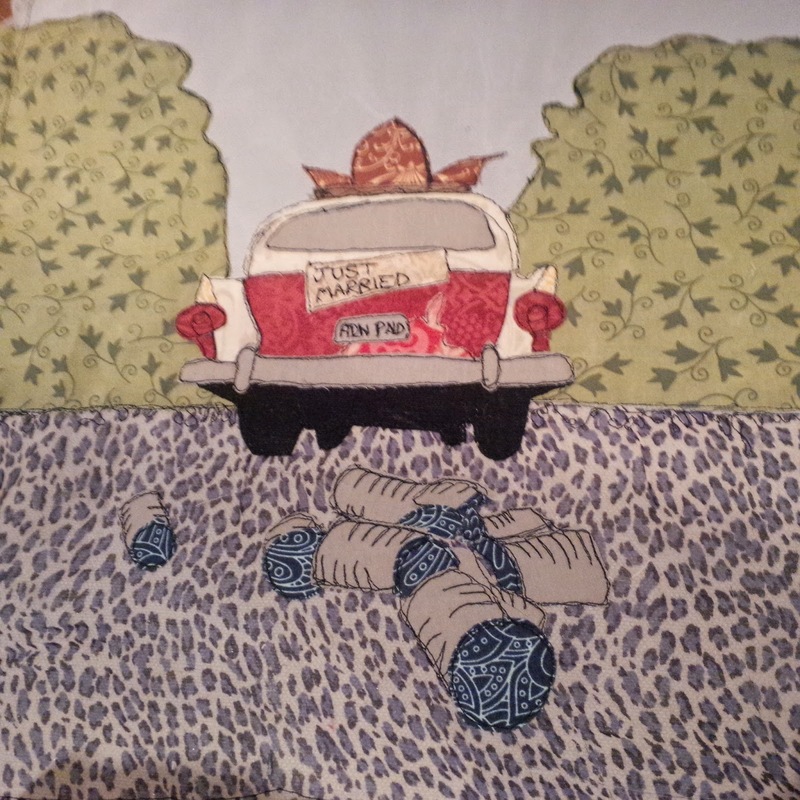 Since discovering King Tut threads on the staystitching website, I can't use anything else. It is brilliant, doesn't split or snap and makes me feel more proficient than I really am. 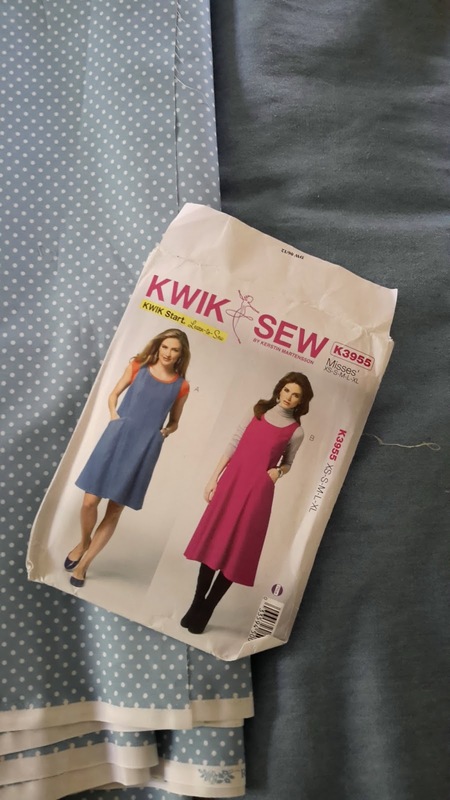 I did have to add two packs of needles to my order as well though, No thread snapping but plenty of broken needles as I get carried away and don't notice that I am sewing over a pin. Must pay more attention. 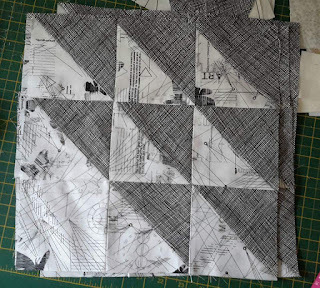 The next part of the quilt is all sewn together and ready to be pressed, sandwiched and quilted. 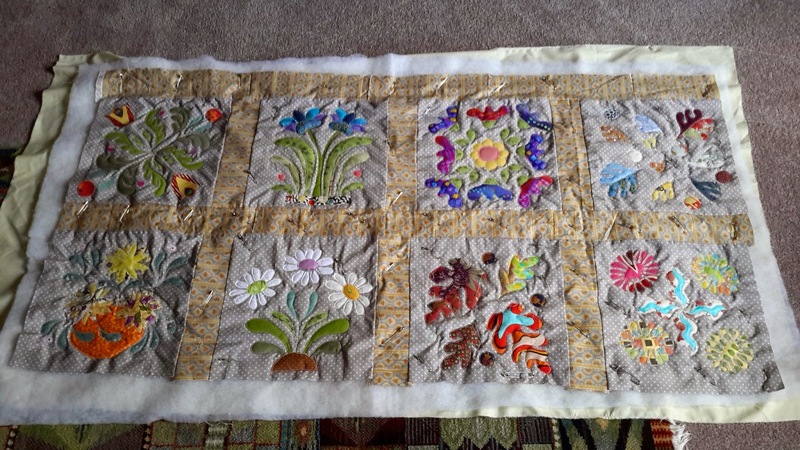 It is starting to be far removed from the pattern but the large pieces are at least in the right place. A few years ago, my neurologist suggested that I find something that would be a complete distraction and an absorbing hobby as part of my pain control treatment. 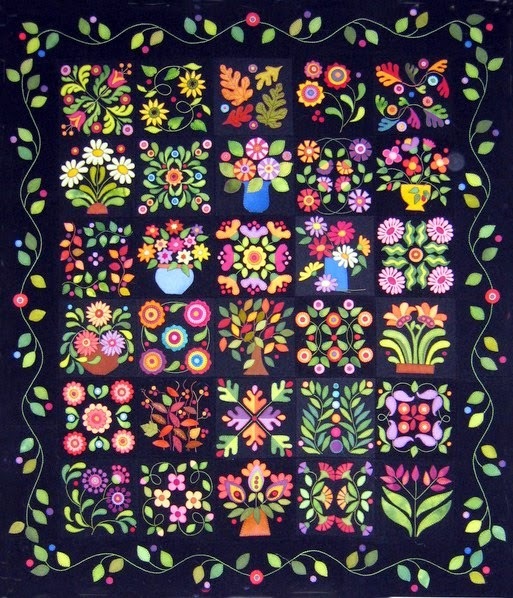 I came across patchwork quilting and have never looked back. This is my record of my therapy.